Grrrrrrowl Good morning there all of you! 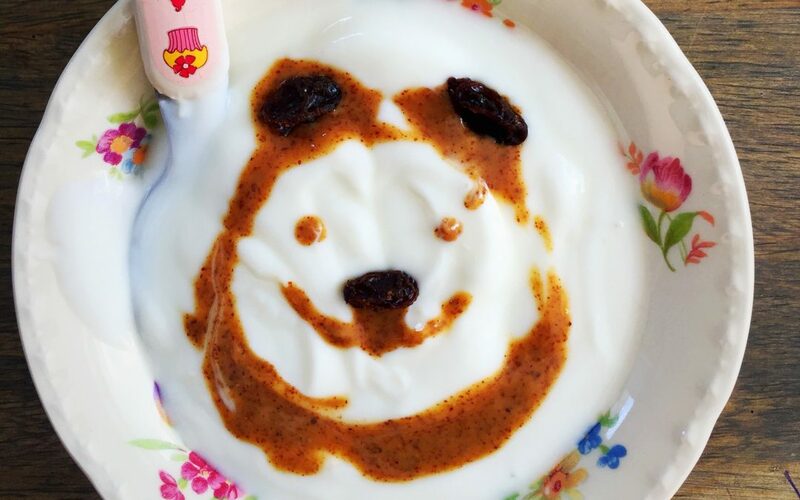 Fancy having a bear for breakfast? Tomi and Mimi made one in their yogurt this morning with almond butter and raisins. It is very easy. And you can make other animals too if you like. Or use something else like honey or fruit. Did you know that a good and hearty breakfast will keep you full and energized longer? That means more energy to play, learn and to be good boys and girls. That is nicer for everybody. Want to learn the alphabet with us? Ask your parents about our ABC app.